This Valentine’s Day we are celebrating the special bonds between horse and human at Redwings. From our vet teams and the neglected animals they bring back to health, to our wonderful supporters who love our animals as much as we do. 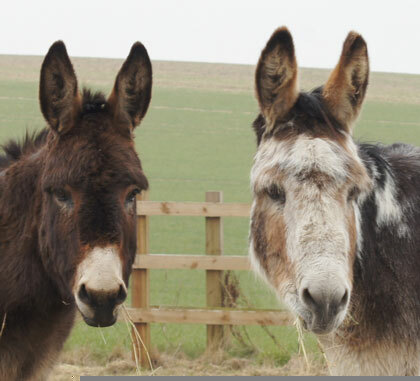 And there’s no better way to create your own special bond with one of our horse or donkey residents than by sponsoring a Redwings Adoption Star for just £15 per year! Our Adoption Stars all have special stories of how they arrived at Redwings and the staff who cared for them. 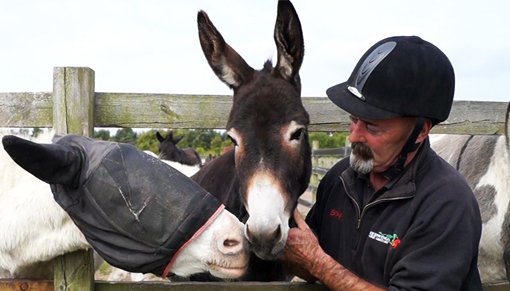 Few are more moving than the story of donkey Esther and Redwings horsebox driver Alan. 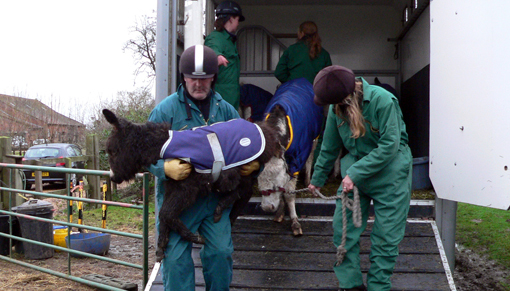 Many supporters will remember the photo of little Esther being carried off a horse lorry by Alan. 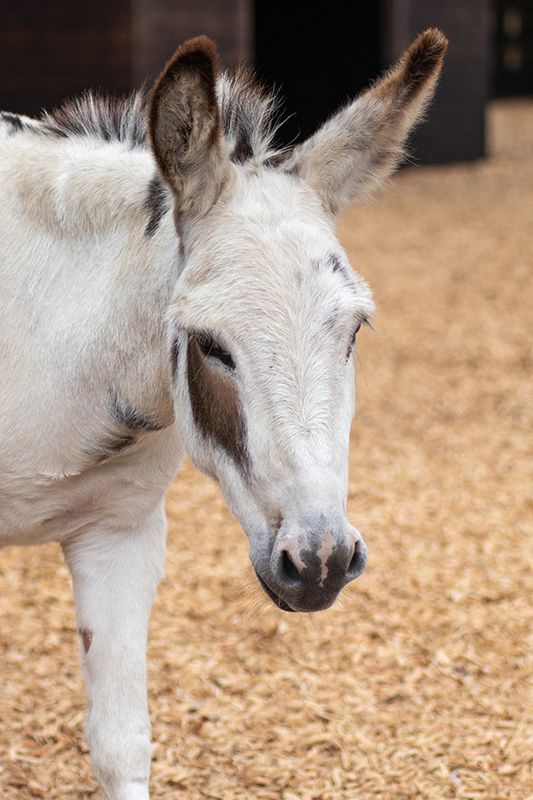 Esther, along with almost 100 other horses and donkeys, was rescued from truly horrific conditions at Spindle Farm in Amersham 10 years ago. At just two months old, Esther was desperately malnourished and too weak to walk. Her mum Martha was so emaciated she could not produce enough milk to feed her baby. Read the full story of the Amersham rescue here. And it’s not just Alan who enjoys seeing Esther. As one of our Adoption Stars, Esther receives lots of visits and cuddles from visitors to Redwings Caldecott! You too can adopt Esther or one of her Adoption Star friends. You will receive a pack including a special certificate and photo of your friend. You’ll also receive access to their online blog, with regular updates and photos of their life at Redwings. Make a new Redwings friend today – sponsor an Adoption Star this Valentine’s Day! Text ESTH18 followed by how much you’d like to give to 70070 - for example text ‘ESTH18 £10’ to give £10.